In this article, Iâ€™m going to cover a topic that doesnâ€™t get a lot of love – WordPress multisite. I recently attended a session at a WordPress Meetup where the presenters shared their experiences with multisite. A special mention goes to Dee Teal (@thewebprincess) and James Bundey (@jamesbundey) who presented on this topic, which has inspired this article. I’ll provide an overview below on what WordPress multisite is, some examples of websites that currently use it, as well as some useful plugins and resources to get you started. 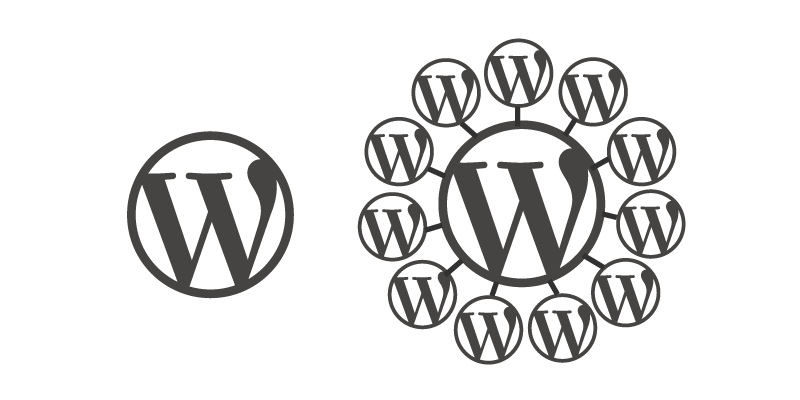 Multisite is described on the WordPress Codex as â€œvery similar to your own personal version of WordPress.comâ€�. It allows you to create a network of sites that share a single installation. Youâ€™ll also hear multisite referred to as a WordPress Network. WordPress multisite is used by some very large sites, the biggest being WordPress.com which hosts millions of sites. It doesn’t get much bigger than that. Other popular sites include the BBC US (each show has a subsite), Reuters blogs, the New York Times blogs, as well as a large number of university sites. You can also browse the multisite showcase over on WordPress.org for more examples. Multisite is ideal when you want to share users across a network of sites. Sharing users has a few implications, mostly surrounding security and access control. For example, if you want users for one site to have file system access, theyâ€™ll have access to the whole site which includes all other sites. Under the hood, the WordPress tables are separate for each site, with the important exception of the user table. If youâ€™re just after sites that look a little different, you can achieve quite a lot without going down the path of multisite by using Categories, Tags, Custom Post Types and different templates. A few years ago, plugin compatibility was a common limitation when working with multisite. Itâ€™s come a long way since then, but itâ€™s still worth checking before you start a project if your required plugins support multisite. Occasionally you’ll find some plugins that aren’t supported on multisite installations. Description: This plugin for multisite, features a myriad of security features including blocking brute force attacks, requiring strong passwords, login monitoring and notifying the admin of security issues. Description: This plugin will help you to map an individual blog or website on a multisite installation, to another domain. Description: Easily manage translations of content on your sites (for example if you use subdomains) across your multisite network. Description: Mail deliverability can be a big problem and an administration headache. This plugin provides multisite users with a dashboard that displays unactivated WordPress user registrations and helps you to easily manage them. Description: Looking to duplicate a site on your multisite installation? This plugin has got you covered, allowing you to clone any site on your WordPress multisite network which includes the data, files and users. Description: This plugin creates one central place for you to manage all the media across your multisite network. Description: This plugin helps you to avoid having to manually add users to each of your blogs or sites on a multisite network. It gives you the ability to assign a role for the user on each site. Description: This one is pretty self explanatory, easily copy a blog post, page or custom post type from one of your blogs or sites to another in your network. If youâ€™re keen to learn more about multisite, check out the WordPress Codex documentation. Itâ€™s worth giving a shout out to WPMU Dev, theyâ€™re long standing contributors in the Multisite space. I hope this article has helped you decide if multisite is right for your next project. If youâ€™ve had experiences with multisite, good and bad, Iâ€™d love to hear them below as Iâ€™m sure it’ll help other readers to decide if multisite is the right approach for their next project. Originally published in the SitePoint WordPress Newsletter, you can subscribe here if you’re interested.